This image from the NASA/ESA Hubble Space Telescope shows the diverse collection of galaxies in the cluster Abell S0740 that is over 450 million light-years away in the direction of the constellation Centaurus. The giant elliptical ESO 325-G004 looms large at the cluster's centre. 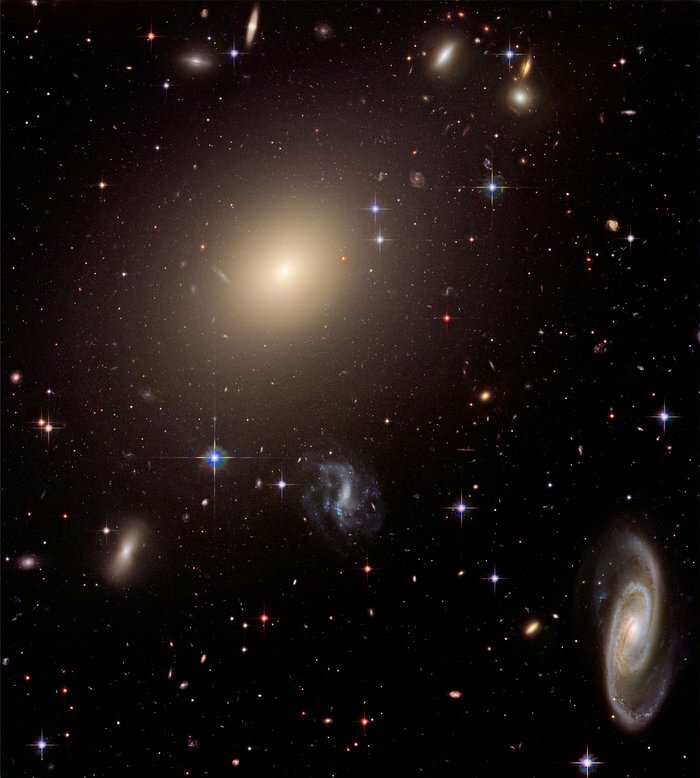 Hubble resolves thousands of globular star clusters orbiting ESO 325-G004. Globular clusters are compact groups of hundreds of thousands of stars that are gravitationally bound together. 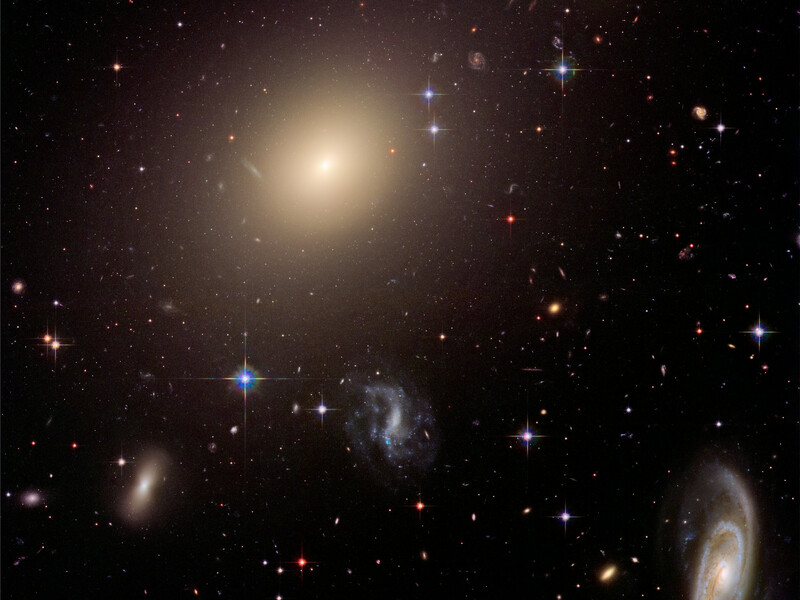 At the galaxy's distance they appear as pinpoints of light contained within the diffuse halo. 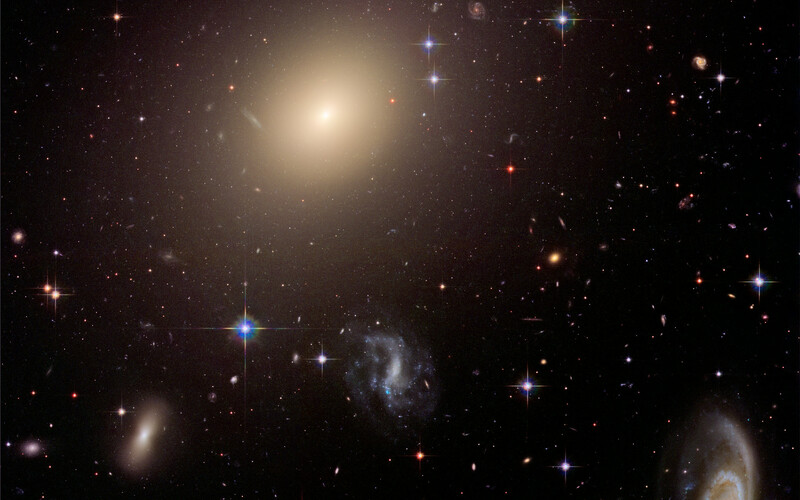 This image was created by combining Hubble science observations taken in January 2005 with Hubble Heritage observations taken a year later to form a 3-colour composite. The filters that isolate blue, red and infrared light were used with the Advanced Camera for Surveys aboard Hubble. Position (Dec): -38° 10' 46.03"